Cumin is a famous spice that people from India, North Africa, and Mexico use for their dishes. If you go to restaurants that serve Indian or Mexican cuisines, you might taste the unique flavor that cumin offers. An example of a recipe that usually uses this spice is chilli con carne. If you’re wondering where this spice comes from, it’s produced by the cumin plant which is from the Mediterranean, and Egypt as well. But today, nearby countries also grow cumin like Syria, Iran, and Turkey. Countries with hot weather such as India, China, and Latin America also try to grow cumin plants. Cumin is either sold in whole seed or grounded form. Indian kitchens usually have this spice because of the flavor that it gives to dishes. Aside from its flavor, it has various medicinal benefits that most people are not aware of. Here are some of them! Improves digestion by increasing digestive enzymes. Great for those who shave iron deficiencies. Full of antioxidants that will help your body fight the damages caused by free radicals. Reduces the risk of diabetes by improving blood sugar control. Studies also showed that cumin can help improve blood cholesterol. Cumin prevents food bacteria which will also help you avoid illnesses that can be incurred from food. This amazing spice also helps to reduce addictive behavior which can help people who are drug dependent. Fact or Myth: Is Cumin Good For Your Baby? Babies are precious to every family. And parents would do their best to protect their little ones from illnesses and diseases. This is why finding the right food is essential because it will give them the nutrients and vitamins that they need while growing up. But is it possible that spices like cumin is good for your baby? Spices aren’t the first kind of food that comes to your mind for your baby. Often times we only give them baby food that do not contain any kind of spices. But for families from Mexico, India, and Morocco, babies that are 6 months old and older, are given food that has cumin on it. Modern science has proven that cumin can give various benefits to your baby. So if you’re having a hard time deciding whether to include cumin in your baby’s diet, keep reading! If you want your babies to have a stronger immune system, cumin can help you. According to studies, cumin activates special cells that will make it easier for the body to fight off bacteria and viruses. Pancreatic enzyme is important for your baby to have great digestion. Cumin increases the production of this enzyme which is why some midwives recommend a teaspoon of cumin tea for gassy babies. Cumin won’t only improve the flavor of your food, but would also help your child digest the food that he or she is eating. It can be frustrating for parents when they can’t stop their babies from putting everything on their mouths. Cumin helps you feel safer about your baby’s habit by directly killing bacteria and fungi. Babies need to maintain the iron in their bodies. They can get this nutrient from breast milk or from spices like cumin. Including cumin in their diet will allow their body to store the amount of iron while growing up. First of all, why do we need to buy cumin when the taste of your own spices make the dishes way tastier? Make it your own! Free the place in your backyard, learn the simple way of growing cumin, and enjoy the reward of your labor later! In order to grow cumin, you need to have temperature conditions of a hot summer around 29 C. (or 85 F). Remember that its homeland is in India, Thailand, Vietnam and other Middle Eastern countries, so they grow the best in conditions close to the ones that are in these countries. If your environment seems good for planting – do it in spring. However, if your climate is colder, make sure to start planting the seeds no less than four weeks after the last frost. Sow them tenderly, shallowly. Let them be close to surface of the ground. At the same time be sure to keep the soil moistured and soft for the seeds to grow easier. Start harvesting the seeds when you see small flowers above the surface of the ground. It will take around 4 months. The seeds should look brown and dry. Be sure to choose the best time of the day for the harvest! The best time is in the morning when it’s still fresh. Now after we gathered seeds we need to know how to keep them safe. The best is to make a powder out of the seeds by grinding them. Make sure that its consistency is close to dust. This way it is the best for usage and storing. Curry powder is used in many meals, especially chicken and soups. It’s mild for the tongue has a beautiful bright yellow color and makes dishes taste very rich. And what is the best about this cumin substitute is that it actually has some cumin in its powder. So if you want to change spices, but at the same time have a small taste of cumin – curry powder is the best choice for you. 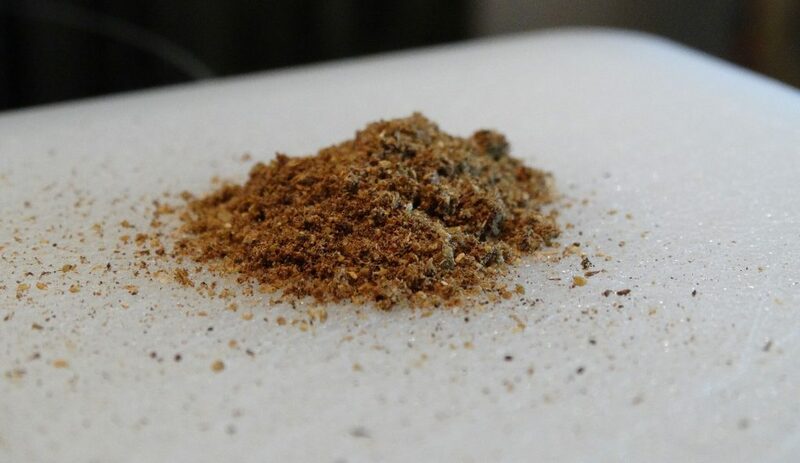 If you also compare curry powder and cumin, you will see that curry powder has its own unique properties as well. It has less sodium but still contains the same amount of vitamins as cumin. When it comes to price, curry powder is cheaper which is favorable for those who are on a budget. Curry powder comes with lots of benefits as well. This spice is a mixture of various spices that are blended together to create a unique taste, but as a bonus, they also make this spice have powerful health benefits. One of the benefits of curry powder is that it can prevent cancer growth because it of the turmeric and curcumin content of this spice. 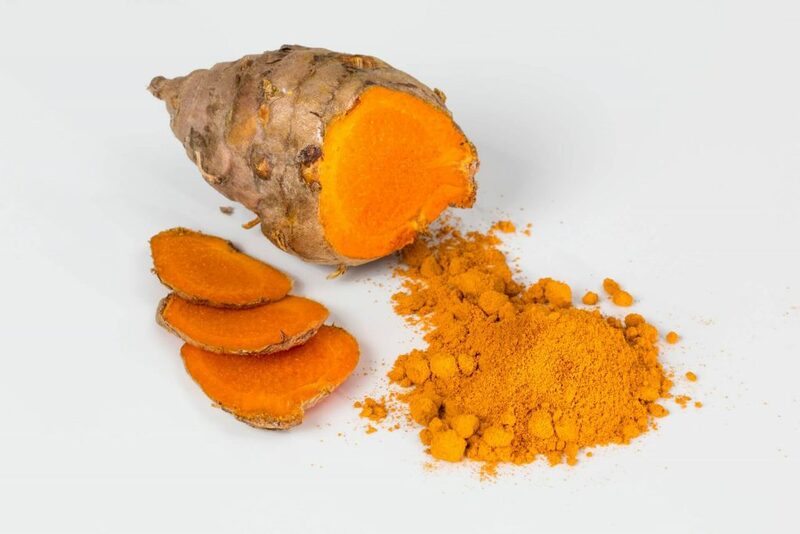 Although taking supplements that has curcumin is more effective because it has higher concentration levels, studies still show that curry powder has the potential to decrease the risk of having colon cancer. Cumin also increases bone regrowth, repair, and connectivity. This is because of the vitamins and minerals that it contains. If you want to fight osteoporosis or have healthier bones, then you should try using curry powder in your recipes. Garam masala is a famous Indian spice that is made up of other spices like cinnamon, cardamom, black pepper, coriander, nutmeg, and cloves. What makes this spice a great substitute is that it has the same color as cumin. You won’t have to worry about having a weird color for your recipes when you use this cumin substitute. However, the mixture is unique and may taste strange to someone who tries it the first time. Garam masala is recommended as one of the best options to substitute cumin due to its rich variety of ingredients. If you’re not sure how to use garam masala, it is a common ingredient in Indian cuisines, but if you want to add a twist to your recipes, it will go well with stews, curries, sautes, and soups. You can also try Indian Coleslaw if you want something new for your meals. 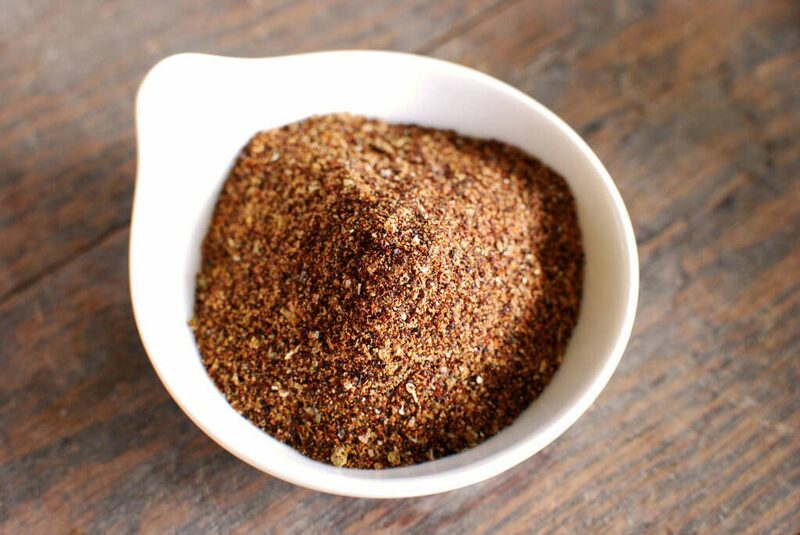 Garam masala is also perfect for marinades and salad dressings. 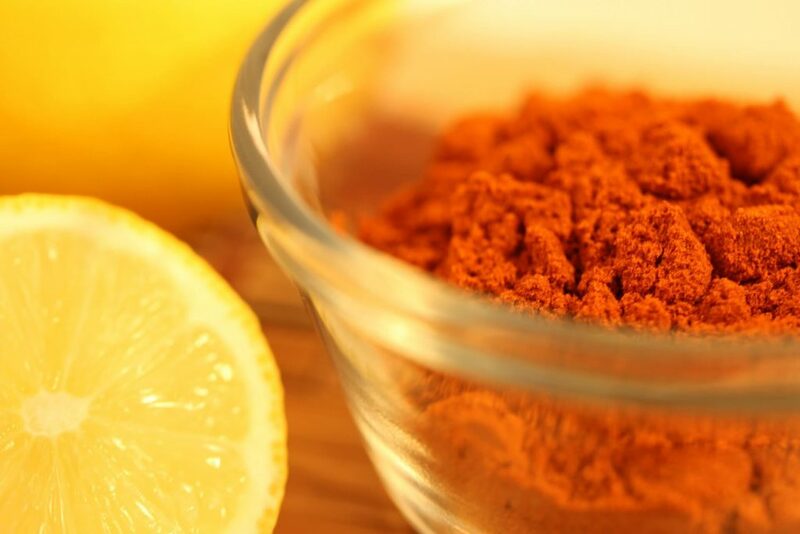 This exotic spice is known to give warmth to your body that will help you to have great metabolism. It is also believed that garam masala has the perfect balance of 6 flavors. These are just some of the reasons why you should try this ancient spice! 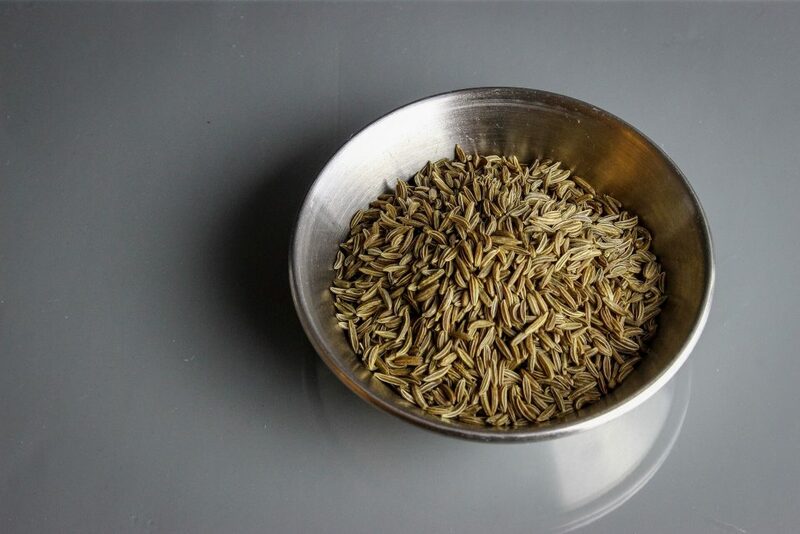 Caraway seed is also a great substitute if you run out of cumin at home. This is because both spices are from the parsley family. It is known to have the closest flavor to cumin, but not as strong. So whenever you want to use it in your dishes, make sure to check if you already put enough and if you already achieved the flavor that you want for your recipe. It’s okay to add more and more until you get the taste that you are aiming for. Aside from the seeds’ usage in the kitchen, the caraway plant also produces oil that helps with coughing, urination, constipation, and even kills bacteria in your body. If you are looking for a spice that will help you attain the recommended daily allowance of fiber in your body, then caraway seeds are perfect substitutes for you. If you use at least 100 grams of this spice, you will get 38 grams of fiber! Because of its fiber content, caraway seeds can help you lose weight. This belief is supported by a study in Malaysia where there were women who volunteered to be treated with caraway seed for 90 days. At the end of the study, they were able to lose 6 pounds and 2-inch reduction in their waistline. However, no matter how good caraway seed is for weight loss diets, you still have to get enough exercise and eat a balanced diet in order to get a fit body. One of the most used spices in various cuisines is chili powder. This substitute for cumin makes the dish taste a little bit like cumin but way stronger. If you want to try this cumin substitute, you have to keep in mind that it has a stronger flavor, so don’t put to much amount immediately. Some people like their food hot, but others would rather eat something mild. The best technique when using chili powder is to put small amounts first and then gradually add more if you think that the recipe is still not chili enough. Some people might be confused between cayenne pepper and chili powder. But beware because cayenne pepper is 8 times hotter than chili powder. These two spices are very different from each other. Their biggest difference is their component. Chili powder is made up of garlic powder, cumin, paprika and oregano. Meanwhile, cayenne pepper is purely from dried chiles. If you put the wrong spice in your ingredients, you might burn the mouth of those who will eat your dishes. It’s also a must to know that if you’re going to buy your chili powder in stores, they will probably contain salt. So don’t get overboard when putting chili powder in your dish. Aside from the four substitutes that we mentioned earlier, we shouldn’t forget another substitute to cumin which is ground coriander. Its taste is close to cumin due to the same parsley family, however, they have differences. While cumin is strong and spicy, ground coriander is milder. Just like all of the spices mentioned in this article, ground coriander is also packed with various health benefits. It’s an ancient spice as well that has been used in Ayurvedic medicine. It is believed to help with women’s menstruation. Not only does it help regulate menstruation, but it also helps reduce the menstrual cramps, pain, and bloating that women experience during their cycle. Using ground coriander in your recipes can also help you naturally cure diabetes. This is because studies have shown that coriander can cause your insulin secretion to increase and help lower your blood sugar level. And finally – taco seasoning mix. This cumin substitute is well-known to anyone who likes Mexican food. While it consists of various spices including cumin, it also has garlic powder, chili powder, and onion powder. This is a flavorful substitute that everyone should try. This is arguably, the easiest substitute that you can find out there. However, you still have to be careful when adding this in your dish because it also contains salt. Now that you know the various spices that you can use for your dishes, there’s a big chance that you will be storing spices at home. These ingredients might be small and we only use a pinch of them for recipes, but storing them properly is also important. This way, you can use them longer. Here are simple ways of organizing and storing your spices like cumin in the kitchen. Try these techniques and it will change your life! Use stackable tin cans for storing your spices. Label them so that you won’t make mistakes when you need to use them. Stacking your tin cans will help you save more space, which is vital for those who have smaller kitchens. Using a spice rack is also very convenient. This will keep your spice jars in place. If you’re looking for a cool way of storing your spices, use test tubes and a test tube rack. Just make sure to seal your test tubes with cork to avoid losing the strength of your spices. A secret spice cabinet in your kitchen would look really cool and help you keep your spice jars organized! When it comes to determining when to throw away your old spices, it’s recommended to buy new ones once a year. But you will also be able to determine the freshness of your spices through their colors and smell. If you think that the spice is too old to use, then it’s time to buy new ones. Cumin is an ancient spice that has been used in various countries like Egypt, India, and Mexico. It is rich in flavor and makes recipes have an earthy taste. It also has a lot of medicinal benefits that both adults and babies can enjoy when it’s included in their diets. This exotic spice is known to be good for digestion. Babies especially, have weak digestive systems at their age. This is why some cultures recommend food with cumin for babies as young as 6 months old. Aside from this, cumin’s anti-inflammatory effects is also great for those who want to avoid allergic reactions. Diabetic people will also love how cumin can help them control with their blood sugar. Having diabetes might limit you when it comes to the food that you can eat. But dishes with cumin are going to help you. Plus, they are very delicious! For parents who want their babies to have great immune systems, cumin can also help! Sometimes, you won’t be able to stop your baby from putting things on his or her mouth. Cumin’s anti-bacterial and anti-fungal properties will help keep your child away from illnesses that he or she might get from eating anything that comes his or her way. Because cumin has lots of benefits, you might want to grow this plant in your backyard. It’s very easy. You just need to know the best time and the best temperature for your cumin seeds. It might take several months before you can finally get fruits of your plant. But once you have them, it’s going to be worth it and satisfying for you. 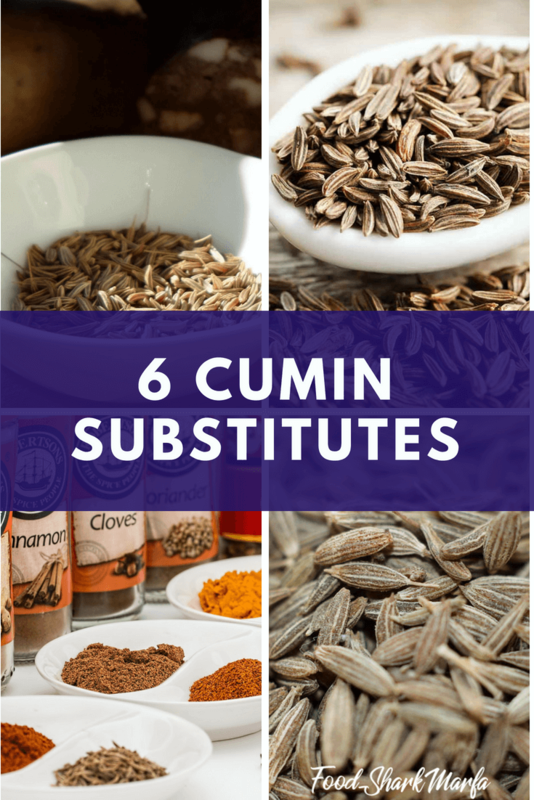 However, if you don’t have a backyard, and you just don’t have cumin in your kitchen, we’ve enumerated 6 great substitutes for you in this article. 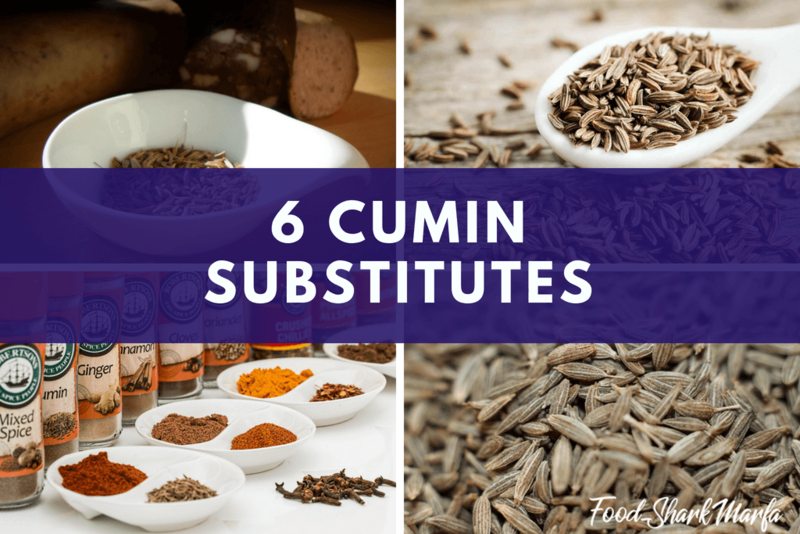 Just like cumin, these substitutes are also packed with medicial benefits. What would set them apart from each other is their flavors. Curry powder is a common substitute for cumin because it is basically made of cumin itself. It almost has the same flavor but it has other spices mixed in it which make it a little bit different from pure cumin. Meanwhile, garam masala has the same color as cumin. It’s a an advantage for people who don’t like having a different colored spice in their food. Garam masala is frequently used in Indian dishes and it’s also compose of various spices which will give your recipes an interesting twist. If you’re looking for a substitute that has the closest flavor to cumin, then you should try using caraway seed. This is because both spices come from the same parsley family! It’s amazing! However, caraway has a milder flavor than cumin. Feel free to add more caraway if you think you haven’t achieved the flavor that you want. The next substitute is chili powder. Unlike the previous substitute, chili powder has a stronger flavor than cumin so keep in mind to avoid putting too much on your dishes. Coriander, on the other hand is just like caraway. It comes from the same parsley family as cumin, and has a milder taste. But just like the other spices, it has powerful health benefits. Ground coriander is known to be great for those who are fighting diabetes. The last but not the least is taco seasoning mix. This is the easiest substitute to find especially if you have some taco seasoning mix left overs at home. It’s also a good substitute because it contains cumin. However, it usually has salt in the mix so you have to be mindful of the amount that you will use. Avoid making your dish too salty. To do this, you have to adjust the salt that you will put into your recipe as well. There are lots of spices that will give life to your recipes. Trying these spices will allow you to go on a cooking adventure in your own kitchen. As your spice collection grows, you need to think of creative ways in storing them. The sky is the limit when it comes to organizing your spice jars and tin cans. You can use racks, test tubes, and even secret spice cabinets. But the most important thing at the end of the day is that you are keeping your spices in a dry space and away from direct heat. By storing your spices properly, you will be able to use them again next time.